Views, views, and more views. On a clear day, the Farallon Islands poke out of the Pacific and make for a beautiful sunset. Many locals don’t even know Golden Gate Heights is a place, but you know it when you’re there — above it all, with a view that seems to go on forever. A strictly residential area, topped by Grandview Park. Detached single-family homes abound, many with killer views of the Marin Headlands and all the way to the Farallon Islands. The 16th Avenue Tiled Steps are a neighborhood gem. 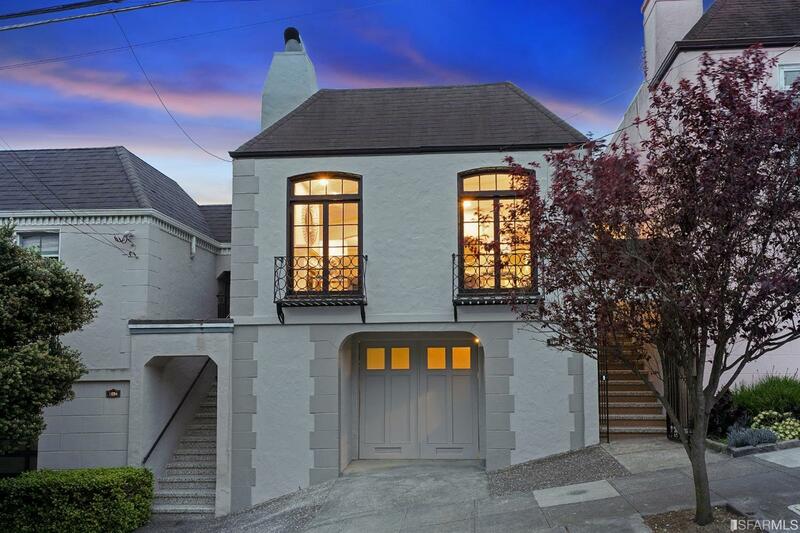 Single-family homes are the name of the game in Golden Gate Heights, with many built in the Spanish Mediterranean style in the 1940s. Most homes in this area are fully detached with larger lots, front yards, and some with detached garages. Public transportation options are decent, with the 6, 66, and 48 buses skirting the area and the N-Judah a couple of blocks north of the neighborhood boundary. The L-Taraval is a few blocks from the southern border of the neighborhood. The Inner Sunset (north of Golden Gate Heights) and West Portal (south) are the closest commercial corridors, and hearty walkers can make the trek on foot. Car commuters will find Laguna Honda Blvd. as the closest major artery. Named the second-hottest US neighborhood in 2017, Golden Gate Heights is a strictly residential enclave south of the Inner Sunset, west of Forest Hill, and north of West Portal. If you’ve been to Grandview Park, you’ve been to Golden Gate Heights (and probably didn’t even know it!). On a clear day, you’ve got views for days. On a foggy day, you’ll pine for that clear day. Atypical for SF: many of the homes here are fully detached and set back from the street with a front yard and sometimes even a detached garage off an alley behind the house. On a clear day, you’ll be hard pressed to find an ocean view that is grander than that offered by homes in Golden Gate Heights. But what nature giveth, she taketh away just as easily, for the homes in Golden Gate Heights are often fogged-in and windblown, especially during the summer months. Homes for sale in Golden Gate Heights effortlessly epitomize what people both love and hate about San Francisco: fog and killer views. On a clear day, homes with the best views will offer a panorama that spans from the Pacific Ocean to the Marin Headlands. This neighborhood is found immediately to the south of the Inner Sunset, and has a reputation for winding streets and hilly terrain. The neighborhood is definitely a car-centric locale, with several buses providing public transit and the nearest Muni streetcar being the N-Judah stops in the Inner Sunset area. Almost all of the homes in the district have a garage, so at least you won’t have to fight for street parking once you arrive home. 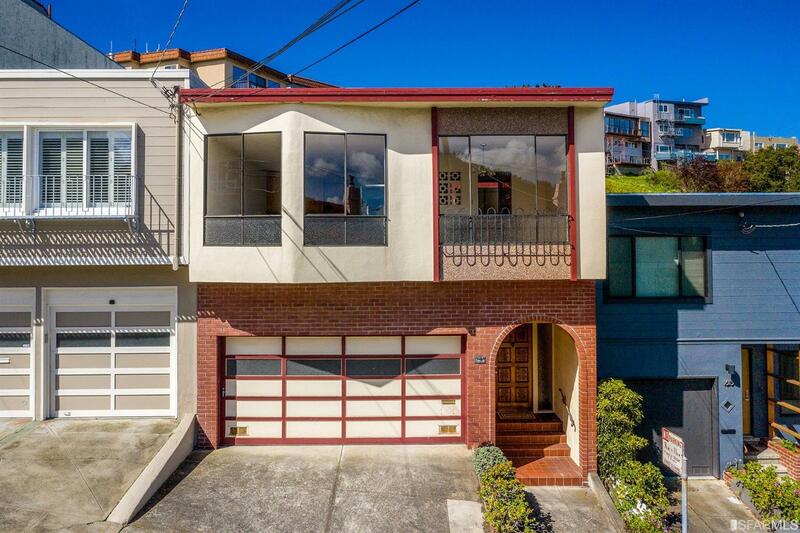 Homes for sale in Golden Gate Heights are almost exclusively single-family homes, ranging from classic 1920s architecture to 1970s Brady Bunch modern. Many of the homes are fully detached, but you will also find a smattering of attached and semi-attached homes in the neighborhood. Golden Gate Heights is exclusively residential, with no commercial district within the neighborhood. Residents usually walk or drive to either West Portal or the Inner Sunset area if they want to do some shopping or dine out. Parks in the neighborhood are pretty hilly, so if climbing stairs is your favorite outdoor exercise, you’ll feel immediately at home. If you prefer to get your exercise on flat land, though, you’ll do better to look at other San Francisco neighborhoods.